Quilting was introduced to Hawaii in 1820 when the first missionaries arrived. Materials were sent from New England (the origin of the first missionaries) and they used patchwork initially to teach the Hawaiian women how to quilt. The first quilting material made in Hawaii was a cloth called kapa. This cloth was made by beating the bark of the Mulberry or Wauke tree into thin sheets. It was later decorated with plant dyes. As this material was the only cloth available to Hawaiians the method of making it became an important part of Hawaiian culture. The cloth took many days to make and design, however it was essential to the making of bedding. Firstly; what was the point in cutting up materials and sewing them back together, this was a waste of time and precious material. Secondly; what would they ever need such a warm blanket for, they lived on a tropical island and it would never get cold enough to use a quilt! However the women progressed and learnt the art from the missionary women and slowly began to integrate their own ideas and beliefs into the design. As quilts were not essential in Hawaii due to the warm predictable weather, the Hawaiian women were able to make these quilts at a leisurely pace (unlike the women in the Northern Hemisphere who had a winter deadline in order to keep their families warm!). 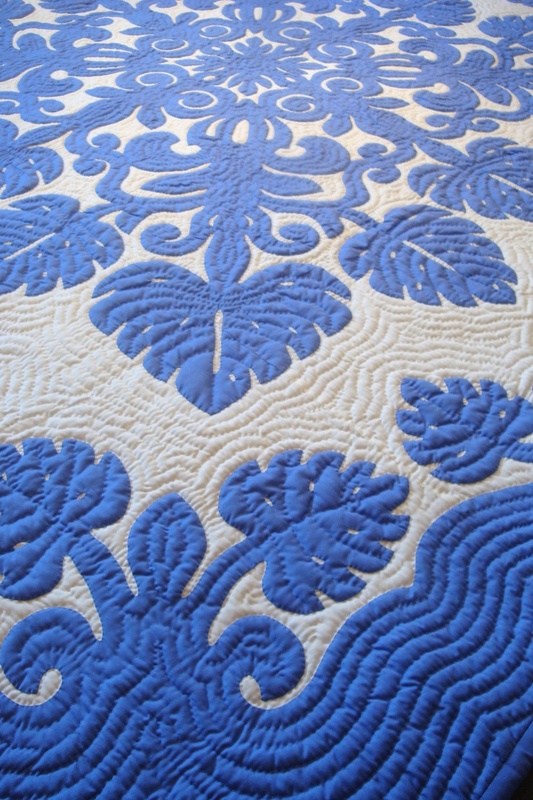 This relaxed time restraint was very fortunate as typically a Hawaiian quilt has many stitches very close together and can take an extra long time to complete. Every quilt in Hawaii was made with a purpose in mind. No quilt was ever made just to pass time. It is believed that many quilts came to their owner in their dreams and then when they woke it was as though it was meant for them to make a quilt with that particular pattern. Many quilts were named in memory of their loved ones who had died and moved on to a spiritual world. Quilts were made for unborn babies, for marriage and to celebrate major events on the island. The Hawaiian quilt also symbolizes an attachment and a love for Hawaii shared by people throughout the world. 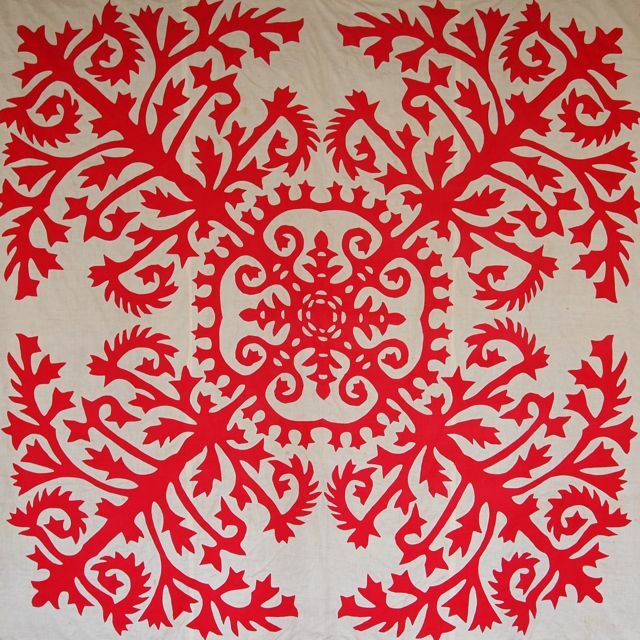 When quilting, traditionally the Hawaiians only used white thread. This was the only color thread that was available for them for many years. Although they dyed some of their kapa cloths with Plant and vegetable dyes and then used them to create a quilt, these dyes were rarely used to dye threads and cottons. If you are looking to make a traditional Hawaiian quilt this is a good tip to keep in mind. Generally the quilts were also made on a white background. They often used white sheets for the plain background. This material was initially sourced from the missionaries as the only cloth available to them was the Kapa, a natural fibre made from the pulping and flattening of bark. When creating a quilt, Hawaiians used a lot of symbolic figures, plants and items that held meaning for them. 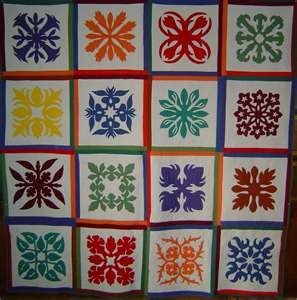 As a result of each quilt having such individual meaning it was very difficult for quilt patterns to be copied by others. If a quilt had been made in memory of a loved one who had passed on then Hawaiians outside their family would not want to take on the quilt design as it could be disrespectful (if the person in honour had just died) and also have the wrong association. The Hawaiian women were very efficient and did not waste materials; therefore to create a quilt with the wrong meaning and intention would be considered a waste. Out of respect for the quilter and the many hours of hard work they poured into their masterpiece, a Hawaiian would never sit on a quilt. The quilts were admired and displayed in the home but never abused (unlike quilts these days which wrap around you when your watching TV!). If you had a quilt on a bed you were not allowed to sit on the quilt, they would simply pull up the edge of the quilt, fold it over and sit on the sheets of the bed. At nighttime you slept under the quilt, never on on top of the quilt. If it were too warm to sleep under a quilt, it would have to be removed from the bed and put away properly. Check out our section on hawaiian quilt patterns for more information on Hawaiian quilt patterns. Today both men and women of all ages, ethnic background and history are making quilts all over Hawaii. 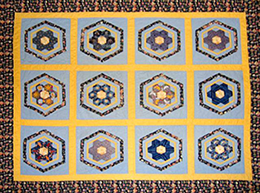 There are quilting circles and workshops that are available for everyone to attend. These days many quilt makers combine their own ideas and meaningful designs with traditions from the past including design, materials and stitching to create their own personal and unique masterpieces. The following books specialise in Hawaiian quilts.